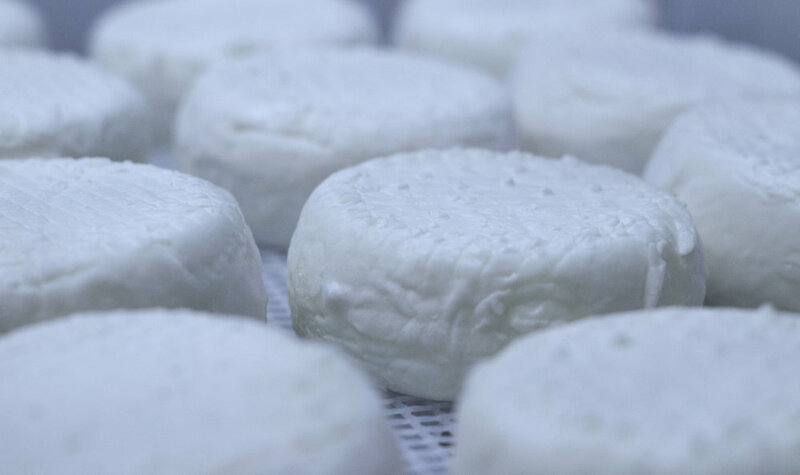 Our cheeses are made from blended milk from our happy herd of goats and sheep. The goat milk adds that special tang and vibrancy, and the sheep milk brings nuttiness and creaminess. 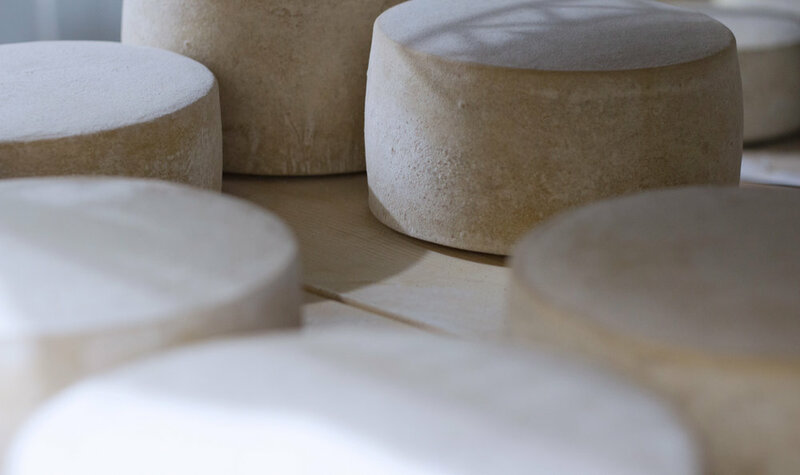 Together they give the cheese complexity and the best of both flavour profiles. Ash-covered bloomy rind, aged 1 to 2 weeks. The grape leaf ash presents an earthy note to the taste experience. A very fine cheese that will remind you of France. 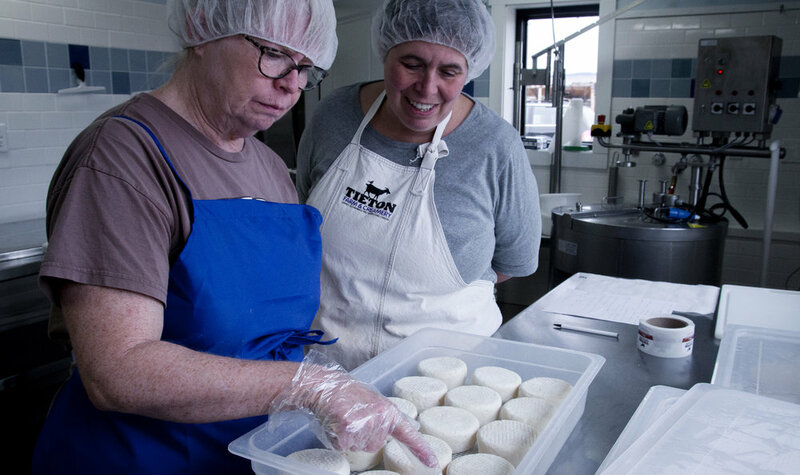 A raw milk cheese, blended sheep and goat milk, bathed in hard cider from Tieton Cider Works creating a truly local terroir experience. 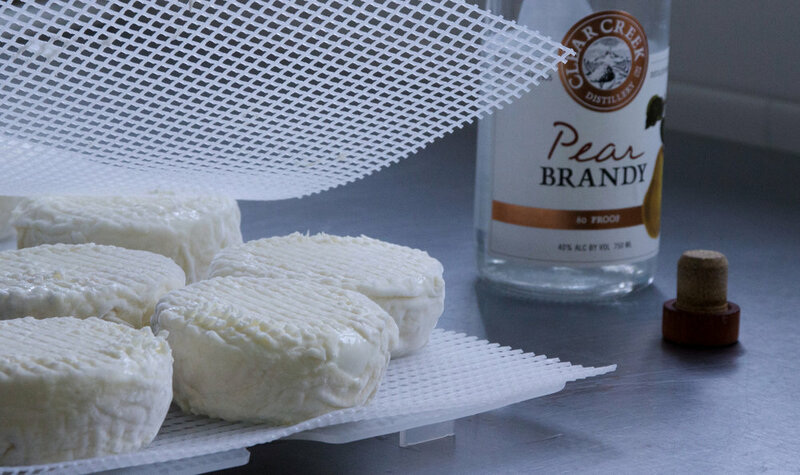 A fresh, soft, spreadable cheese, made from our farmstead sheep and goat milk. The sheep milk makes it rich and creamy, while the goat milk provides a nice tanginess. Great in salads, with veggies, and in egg dishes. Infused with hops, and washed with beer, all from the Yakima Valley. Has unique floral notes from the hops. A bloomy rind packed with flavor. Smooth and creamy. Amazing with fresh crusty bread. Aged 1 to 2 weeks, it is more complex in flavor. Continues to ripen and get more delicious with age. 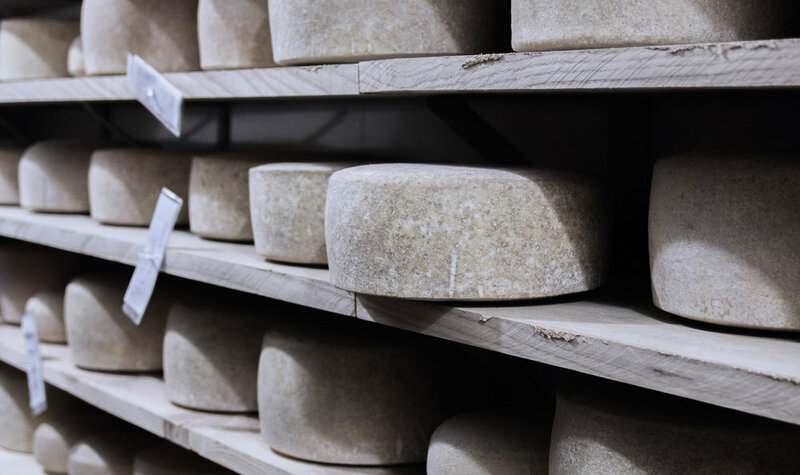 A newer member to the line up, a washed rind, soft-ripened, with an interior layer of ash. Ash is used to separate the morning milk curd from the evening milk, and only a farmstead creamery can do that! Classically Greek Feta made with goat and sheep milk. Very fresh, soft texture and not too salty. You can taste the milk profile. Our take on the great Reblochon cheese, we use our sheep and goat milk. Cave aged and full of yumminess. Perfect for all types of parties and beverages. We never get tired of eating this one! A new cheese, a fresh bloomy rind mixed milk cheese washed with a pear brandy. Very delicious, we eat this one with the most delicate crackers to let the cheese shine. 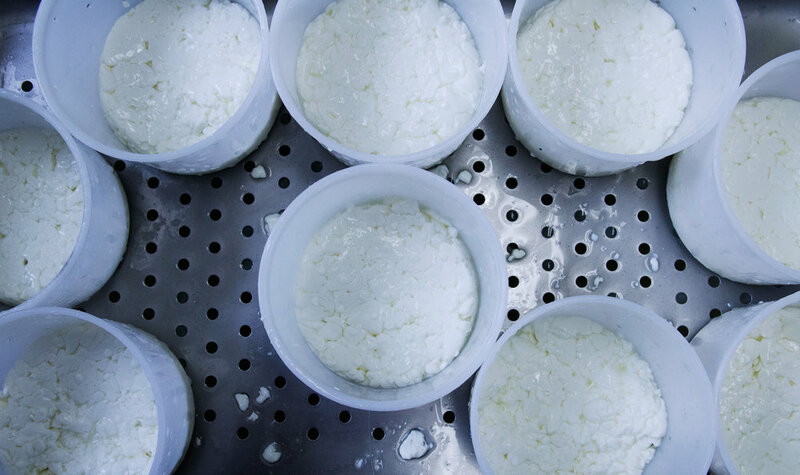 Cheese making is all about the milk. All the work is done in the pastures. We are pasture managers first and foremost. There is nothing more wondrous than the arrival of the fresh morning milk. It is beautiful and perfect looking and it smells sweet. It takes all my strength not to drink it. We don’t really “make” cheese as much as “guide” the milk into cheese. 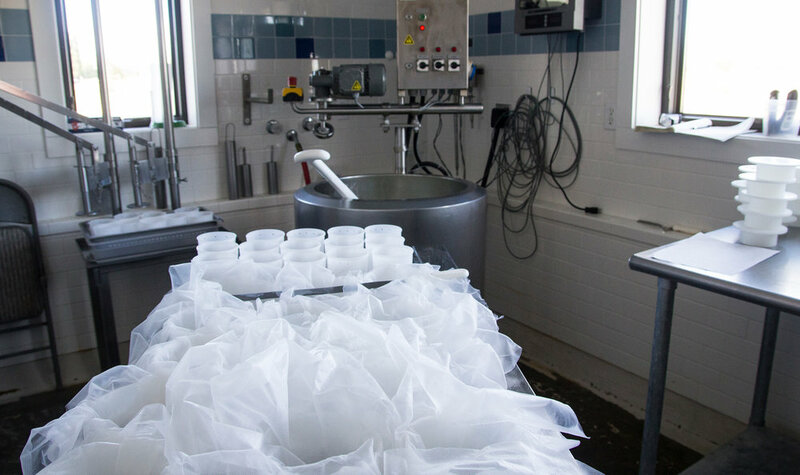 Preserving the top quality of the milk is our goal. Since we are a solar powered farm, we do our best to manage power consumption. 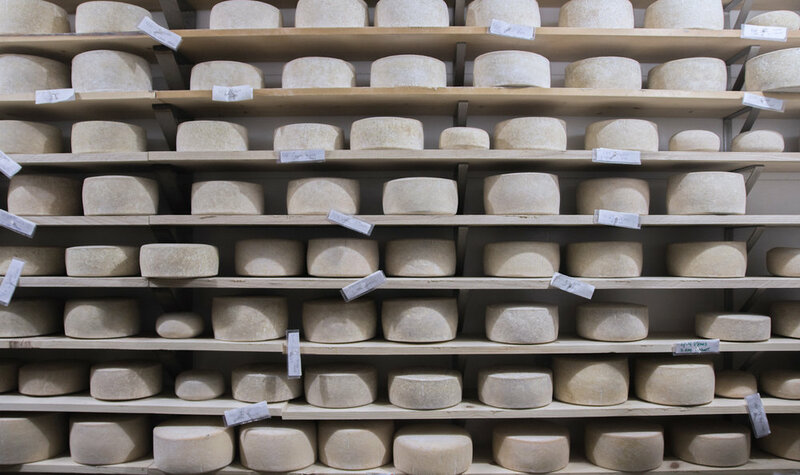 Making cheese daily without pumping or storing it is one way we reduce our load. Plus it makes better cheese. Thank you for joining our village!